BATTLE for BROOKLYN is an intensely intimate look at the very public and passionate fight waged by owners and residents facing condemnation of their property to make way for the controversial Atlantic Yards project, a massive plan to build 16 skyscrapers and a basketball arena for the New Jersey Nets in the heart of Brooklyn. 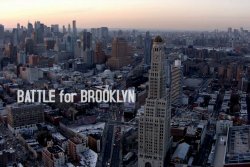 Shot over seven years and compiled from almost 500 hours of footage, BATTLE for BROOKLYN is an epic tale of how far people will go to fight for what they believe in. Filmmakers Suki Hawley and Michael Galinsky have been collaborating with partner David Beilinson for almost 20 years. Together, they released the documentary Who Took Johnny (Netflix) - included in Art Forum's annual top 10 by John Waters who called it "an amazing, lunatic documentary that will leave you creeped-out, excited and surprised!" 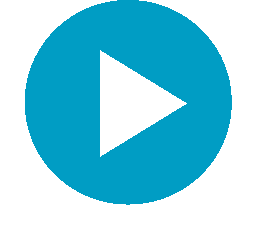 Prior, they co-directed the documentary Battle for Brooklyn (DirecTV), which was short-listed for the Academy Award in 2012. Also with Beilinson, they released Horns and Halos (HBO) - their first documentary feature to land on the Academy Award Shortlist. In the '90's, Hawley/Galinsky co-directed the narrative feature Radiation, which premiered at Sundance and went on to play at over 40 international festivals. In 1994, they made Half-Cocked, a film which combines aspects of documentary and classical narrative storytelling. It was praised by critic Manohla Dhargis, who stated, "Together, Hawley and Galinsky know how to make pictures shudder with feeling."